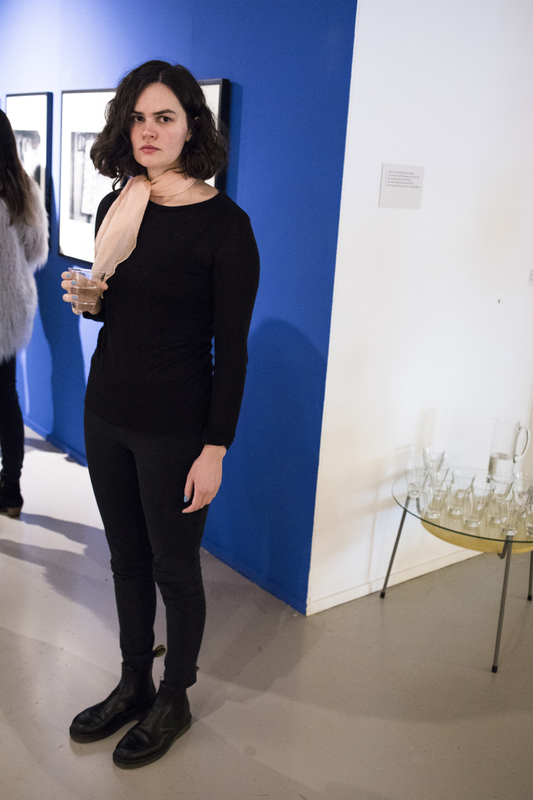 On Sunday 11 March, 2018, the finissage of exhibition Some Things Hidden took place at Framer Framed. 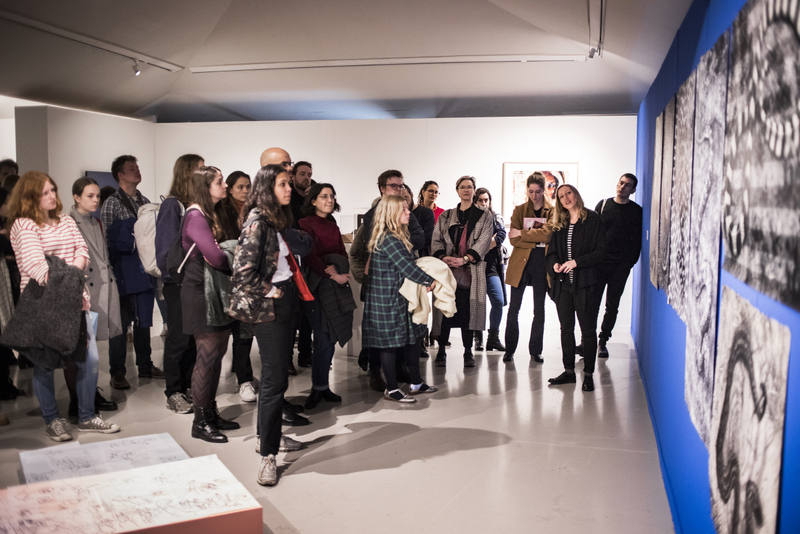 The group exhibition, curated by curator Nina Folkersma and artist Charlott Markus, was the result of a collaboration with Castrum Peregrini, where it was previously shown in a more performative, smaller version. 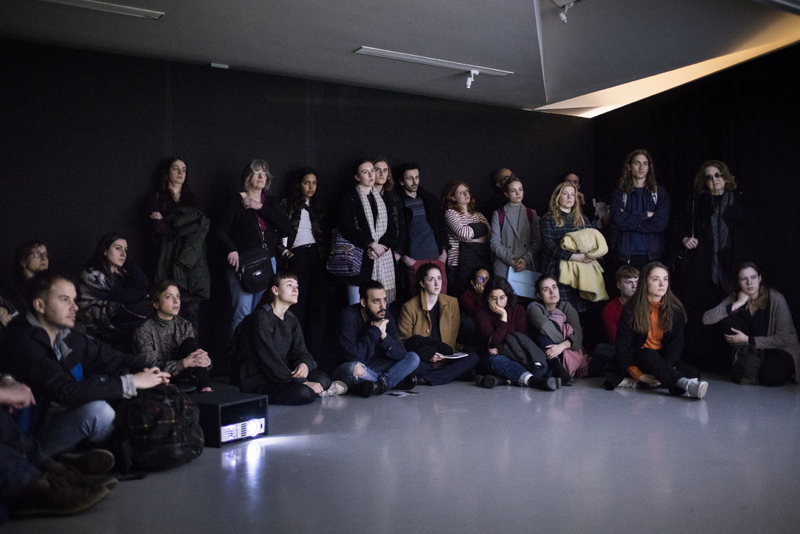 Starting with a guided tour by Charlott Markus which was joined by the exhibiting artist Hélène Amouzou, the event then went on to an artist talk with Lynn Hershman Leeson, led by curator Nina Folkersma. 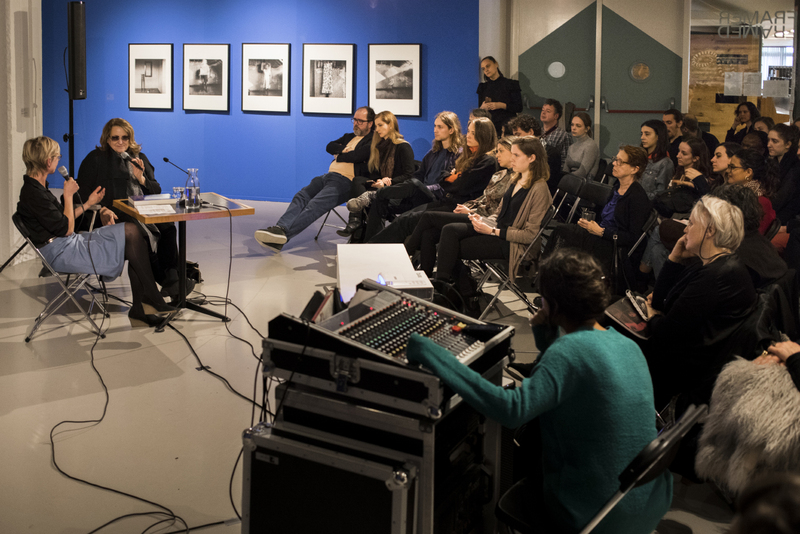 In this conversation, themes in Lynn’s work, specifically in connection to the exhibition’s themes of feminist movements and the politics of (in)visibility, were subject of discussion. 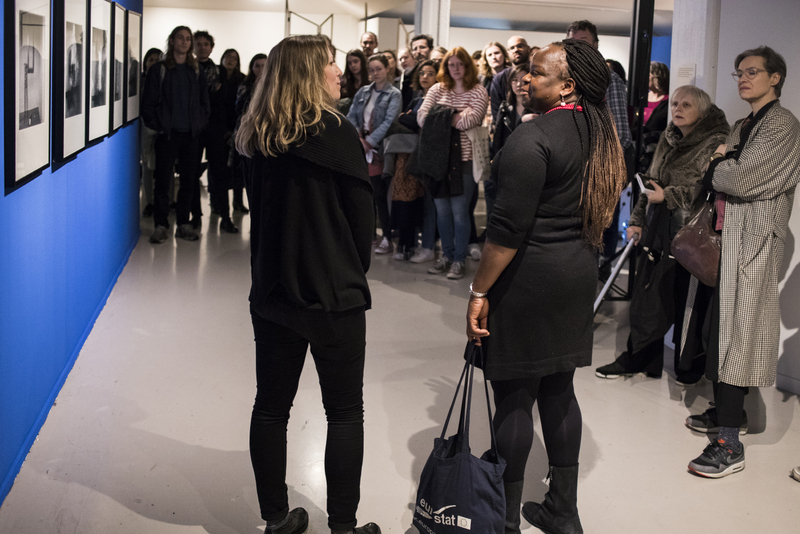 Starting with the guided tour, artist Charlott Markus provided a better insight into the exhibited art. Charlott expanded on each work, starting from her own installation Markus&I, which formed the starting point of both the exhibition Some Things Hidden and her previous show, Some Things Perishable. 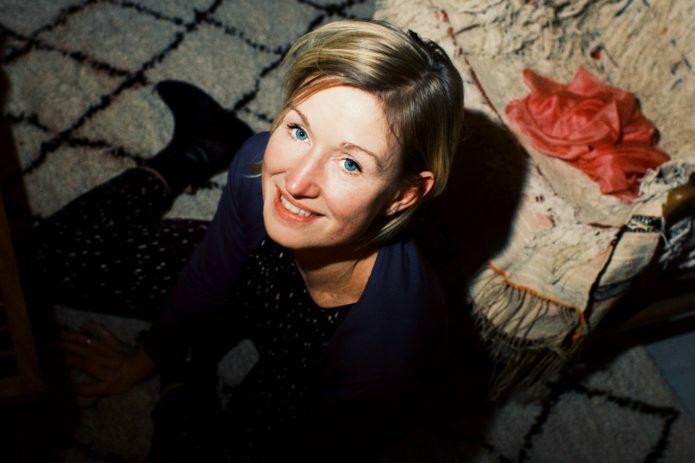 Initially a research project of the personal story about the life of her relatives who underwent one aspect of (in)visibility during World War II, Charlott Markus soon came to the realisation that this subject has many substages, inheres subjective experiences which depend on so many factors, in corollary, cannot simply be seen from and by a single perspective. Therefore, this personal project promptly resulted in a group exhibition which allows a grasping of the vast character of (in)visibility. 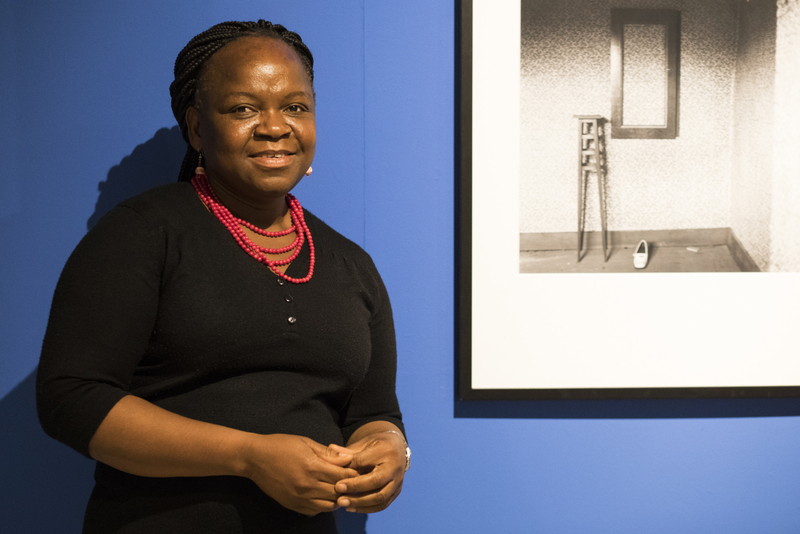 Introducing her work and the exhibition, it immediately raised the feeling that Some Things Hidden does not display a neutral quality of the concept ‘(in)visibility’ but rather a deeply personal portrayal of the exhibiting artists’ visualisation, interpretation and experience of (in)visibility. Each craft manifests different forms of (in)visibility, which are not necessarily about literally hiding. 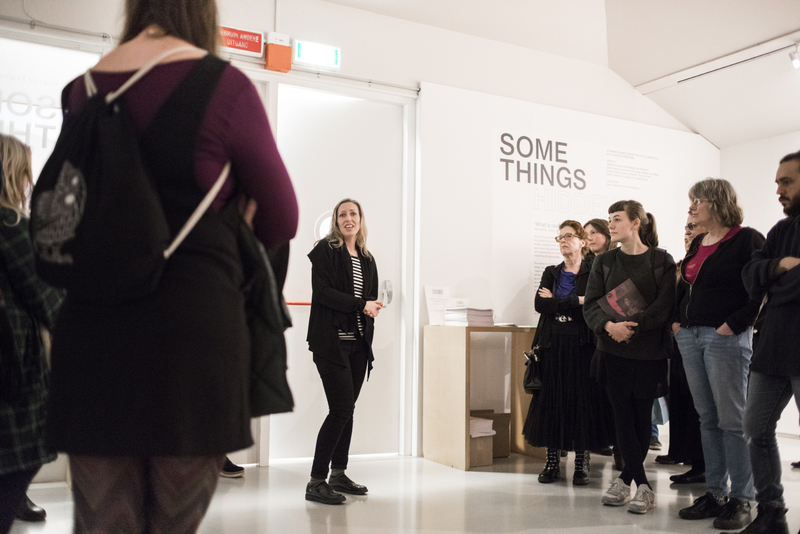 What Some Things Hidden accentuates is that being (in)visible is often not a choice, there are many power structures and factors behind it which each exhibited work encompassed. The selected stories shared raised awareness of one’s own privileges in life, and encouraged reflection on any personal experience of (in)visibility. Hélène Amouzou’s presence at the finissage, who travelled from Brussels, was a wonderful addition to the tour. Listening to her personal experience of what she went through and how that changed her definition of ‘existence’, contributed to a deep contemplation of the hidden narratives of an individual. 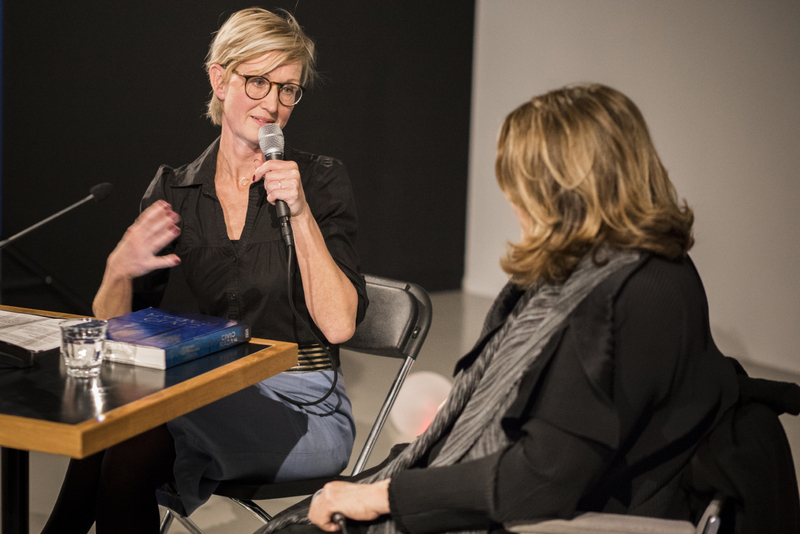 Charlott and Hélène alluded to this topic with a recount of one of their conversations about their experience of moving to a foreign country. They discovered that although each of us has his/her own narrative, the experience of emotions is social. Hélène Amouzou lives and works in Brussels, Belgium, and uses photography to create ephemeral and ghostly self-portrays. 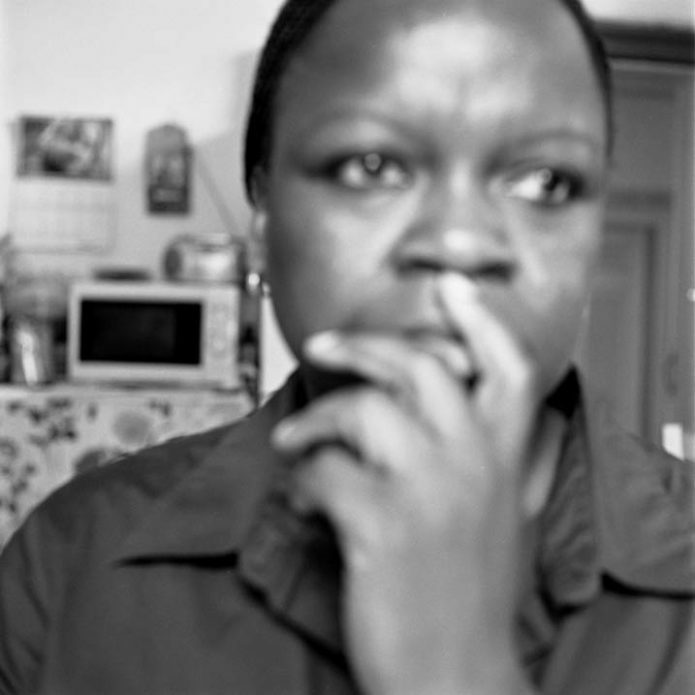 The photographic self-portraits series shown in Some Things Hidden were taken in the attic of her house in Molenbeek, Belgium, over several years when she was seeking asylum in Belgium and waiting for her official residence visa. What she personally experienced is a life without rights, and how little remains of the ‘existence’ of a stateless person who often feels only half a human being. In many of the images, she includes symbols such as a suitcase, reflecting her state of flux and transit. Hélène’s self-portraits have been exhibited in Belgium and France; she also presented her work at Tropenmuseum in Amsterdam. 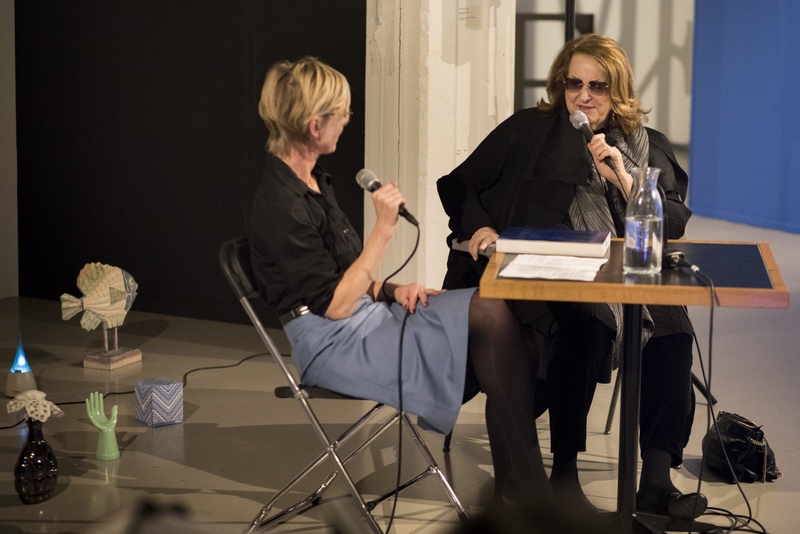 Hélene’s presence and her sharing of this ‘snapshot’ of her life went over to Lynn Hershman Leeson’s, who opened up and shared her experiences in the artist talk with Some Things Hidden-curator Nina Folkersma. 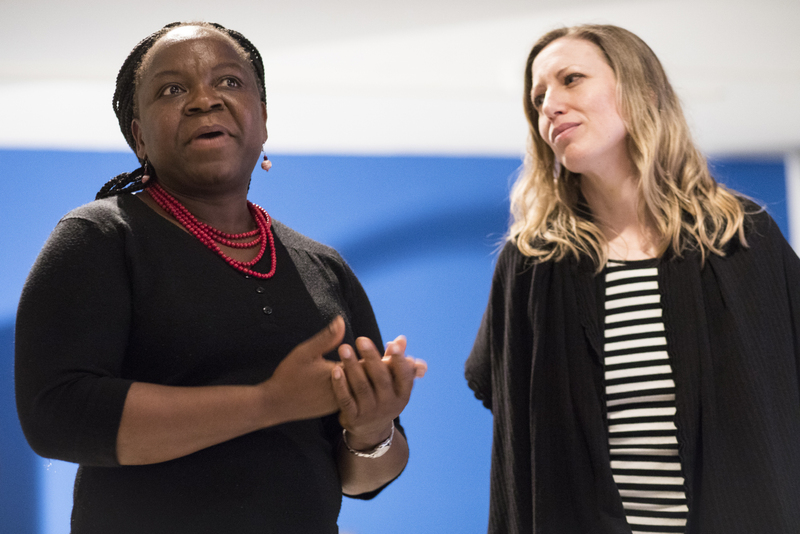 Introducing herself with her own story, how she arised out of the unknown in a male-dominated arts world, Lynn conveyed her personal experience of the challenges she met in the female (in)visibility. She talked of her involvement in several feminist groups, and how her work enabled her to write her own story. Lynn became and is an emblem for every woman who lives in the involuntarily invisible, a constructed space by various power relations, and who chooses to challenge it. 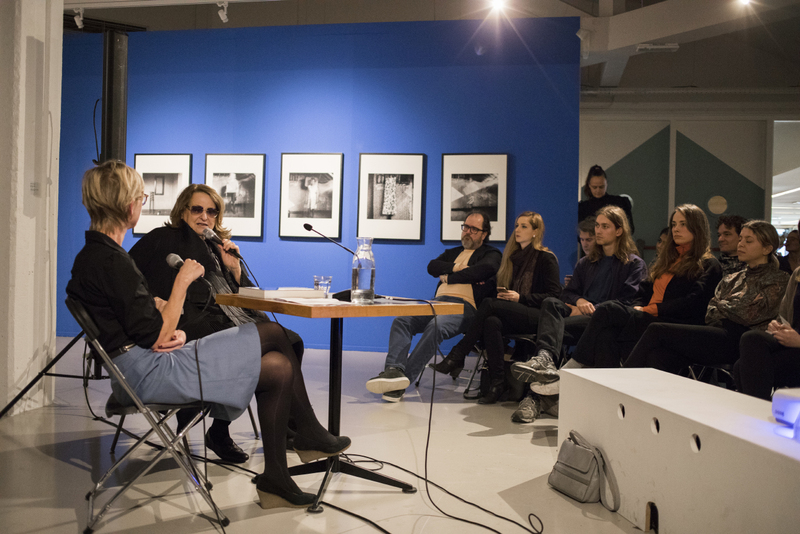 Lynn Hershman Leeson is a key figure in the feminist art world and recognised for her innovative and ground-breaking work in terms of technology and art. 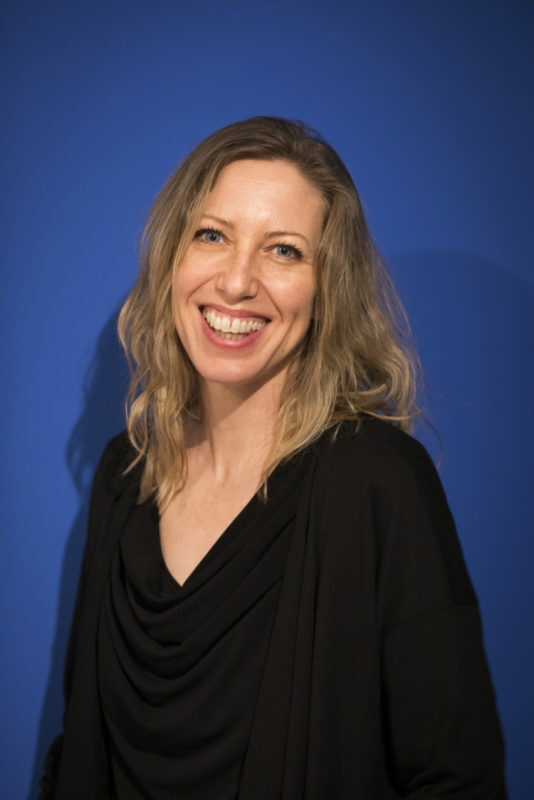 She works with a range of media such as installation, film, photography, painting, technology and of late even genetic engineering; work which ignites crucial debates about feminism, identity, the relationship between body/technology, media, and many more. She is best known for her ‘fictitious’ persona Roberta Breitmore whom she brought to life in the course of an artistic performance and through photography in the 1970s. She created a fully-fledged, real subject which existed for nine years. 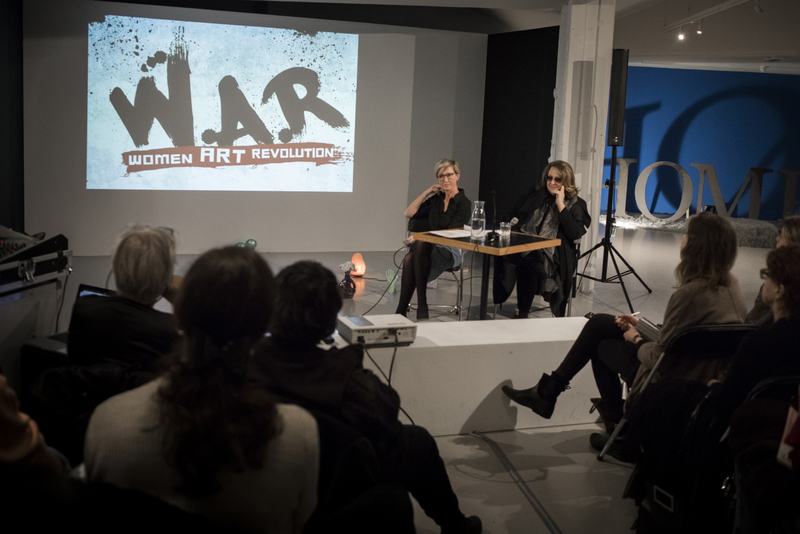 Furthermore, Lynn is a renowned filmmaker notably of the 2011 released fim !Women Art Revolution about the feminist art movement and feminist art in the United States since 1970. Lynn told us that at first, her art was invisible, purposefully hidden from the public, as she did not show it to anyone. Subsequently, this notion of hiding as a form of self-survival in this world is a space where only the hidden allows one to breathe. During the talk about her early work, a black coloured wax mask of her own face, the conversation turned to the fact that many artist voices get silenced because of dominant power structures. 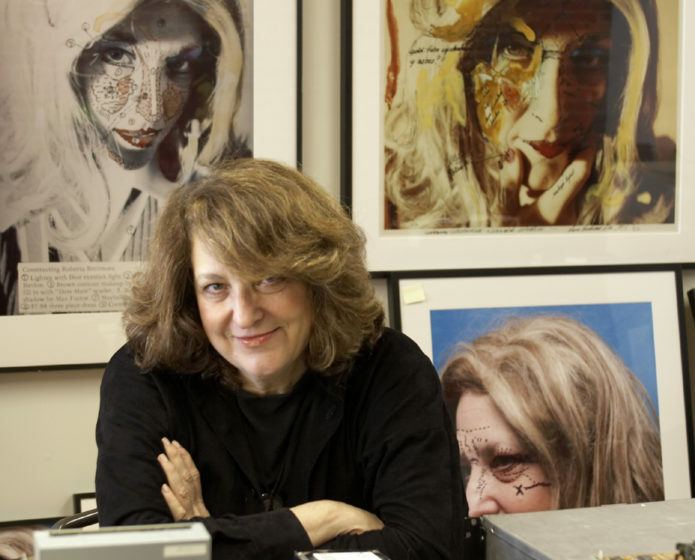 Lynn Hershman Leeson is a revolutionary figure with her own written story. She elaborated on her aforementioned early work, the mask, with its addition of the breathing sound of her own voice as an encouragement to draw the audience into a dialogue with the object. It creates a partnership as the sculpture talks to the sense of participation in order to complete it. At this given time it was revolutionary as it not only challenged the public but also the art world – the Berkeley University Art Museum refused to exhibit the work because of the audio element, as audio works were not considered to be art by the museum. Questioned by Nina, Lynn mentioned that her decision to colour the mask black was in honour of all the voices that got silenced; for everyone with a darker skin colour who was not present in museums because of their appearance. 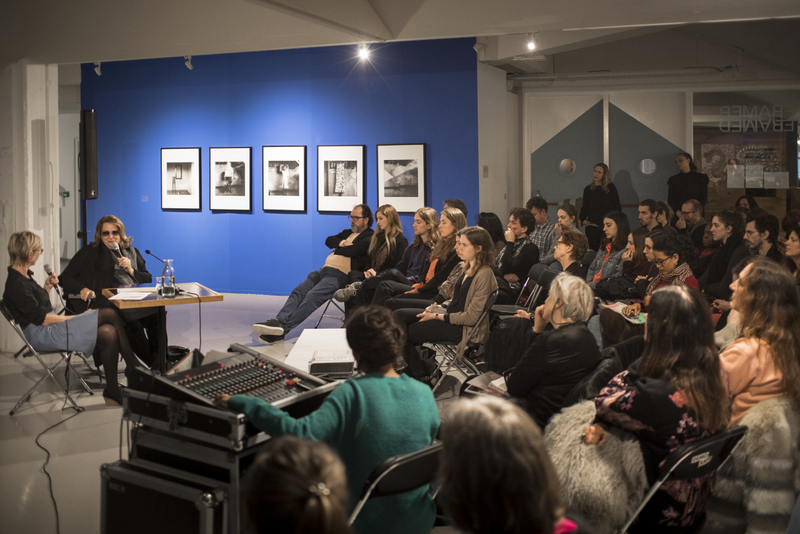 In the discussion that followed, the evening touched upon the present generation and its dealing with the emergence of technology which also forces to rewrite the concept of an artist. Firstly, a question from the audience about who gets credited when it comes to collaboration in creating technological art (collaborations between artists and scientists). This requires a larger reflection on the role of the artist and on a reflection on the project itself; from the development of an idea to its realisation. Another central point in the emergence of technology is that with the help of technology, many female histories finally become mentioned; get written. Looking at the history of technology, Lynn underscored the numerous little known women who were behind big technological inventions, but were not credited for them. She emphasised that ‘female history was not written’. However, through the use of people-led technologies such as Wikipedia, these women can get a chance to get their stories literary ‘written’. According to her, her biggest inspiration was the free speech movement, which engendered for her the idea of autonomy; not listening to someone who is in power, eventually, the creation of one own’s power. Women’s activism and feminist movements opened the floor to a debate of the idea of activism and not letting a third party decide what is appropriate and letting them speak on behalf of women. Touching upon many different struggles that women have to go through, Hershman Leeson’s persona Roberta Breitmore is a telling representation of a female identity and the issue of not being seen caused by the politics of (in)visibility. For Hershman Leeson, this idea of creating one’s own identity was crucial as with Roberta she could represent society, by extension, it was Roberta’s existence which represented the existence and the experience of all women, that addressed the issues of ‘existence’. Lynn explained that she wanted to question reality in creating an own identity. It was a question of one’s own freedom in society and also about the given space of acceptance and visibility. The talk then entered a deeper consideration of feminist movements then and now. A form of not understanding, not including, not accepting is an existing conflict of feminist movements, which also got addressed by the audience. The younger generation accuses the second wave feminists of being colour-blind and not wanting to deal with differences between people. 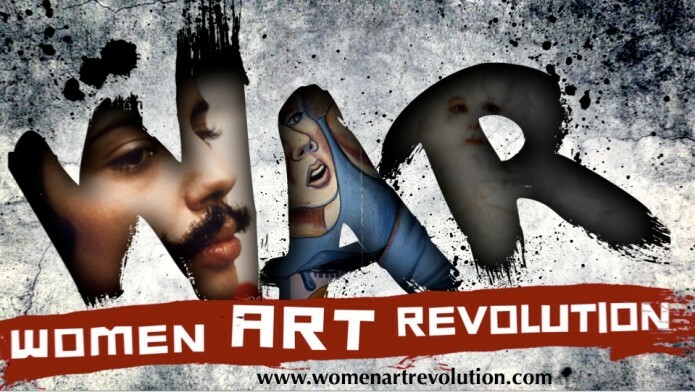 A further personal experience for Lynn about the struggle of getting heard and having a voice in society was during the shooting of her film !Women Art Revolution. This film shows the roots of the new movements, emerging from her wish to show the ‘histories that never were written’, counteracting the invisibility of women. Lynn’s account of the filmmaking process at this given occasion was also thought-provoking. She explained that even well-known female artists did not want to be part of this film as they did not want to get on this stage, which only stresses the continuous struggle of getting heard, having a voice in society, a matter of hiding. Ending on a more positive note, looking to the future, Lynn issued a fortifying advice for women and girls today: keep your own importance and power in mind, gain credence to your history, and keep your sense of humour.